After plenty of discussion online and coverage from major and minor media outlets, Chrysler decided to follow up their "Imported from Detroit" Super Bowl commercial with an accompanying t-shirt. I was personally expecting black with some simple white lettering, but someone decided a winged tire would be a bit more friendly than the tone the Super Bowl ad set, which was a bit more dark and matter of fact. You can order yours now for $29.95. Fortunately, someone was smart enough to have the shirts made in the USA; though, "Made in the USA" isn't always made in the USA (learn more here.) It would've been even better to use a local t-shirt company like Detroit GT to do the shirts. 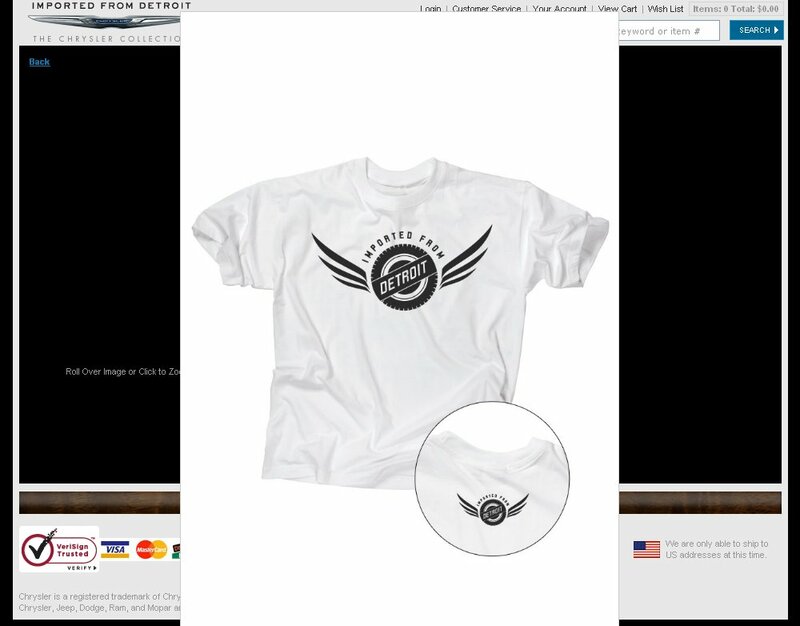 Regardless it is a smart move from Chrysler and good to see them carry the tagline into apparel. $29.95 ? Is that how they can afford M&M?! lol I think they should of made the shirt more rugged and tough looking. When God gives you lemons, you have to make lemonade!